This article aims to help you realise your dream of owning a property in France whatever your budget. Although house prices in general in France are significantly cheaper than those in the UK, a little insider knowledge will make your money go further still. In much the same way as the UK has regional variations in property prices, the French property market is stronger in some areas than others. Properties in the cheapest areas of France represent real value for money for British buyers. Many of the more expensive regions also contain zones where some real bargains can still be snapped up. In this article, we feature areas where properties can be bought for as little as £20,000 and certainly for less than £50,000. However, knowing where to look for affordable properties is only half the story. Our article also suggests different property types you should consider when looking for a cheap French home as well as touching on alternative ways to pay. For a complete overview of France's cheapest property hotspots read on! The cheapest regions in which to buy property in France are undoubtedly Limousin and Auvergne, both of which are non-coastal regions in central France. These regions have suffered from rural depopulation in recent years due to a lack of large towns and industry resulting in relatively high unemployment. Consequently, parts of these regions are very remote and sparsely populated. Limousin and Auvergne are nevertheless, up and coming areas as far as the French property market is concerned. The increasing number of buyers looking in these regions has not yet driven property prices up significantly and property here still represents excellent value for money. A property in Limousin or Auvergne can be as much as two or even three times cheaper than its equivalent in size and quality in the nearby Dordogne. It is this comparative value for money that has drawn house hunters to the region in recent years. However, the peaceful surroundings and recently improved transport links are other points in their favour. It is still easy to find renovation projects, including barns, cottages and farmhouses in Limousin and Auvergne at truly bargain prices. Small rural cottages or village houses needing work can be snapped up for less than £20,000. The lowest property prices are generally to be found in Limousin, especially in the Haute-Vienne and the Creuse in the north of the region. In these departments, the cost of property per square metre is lower than anywhere else in France - under two-thirds of the national average in fact. Most of the cheap properties in Limousin were formerly used for agricultural purposes or to house farm labourers. They therefore tend to come with a reasonable amount of land. The burgeoning interest in Limousin and the reported shortage of rental accommodation, also make it the perfect location for a tourist business - and since property prices are so low, locating here is also a way of keeping capital start-up costs down. The cheapest properties in Auvergne are generally located in the Allier department in the north of the region. The town of Montluçon in the Allier is home to a large number of older style properties at bargain prices. Whilst Auvergne is by no means a Dordogne-like version of Little Britain, it is slightly ahead of Limousin in terms of foreign interest. You would certainly be well advised to unearth the remaining bargains whilst you can. This is almost as close as you are likely to get to the sunny climes of the south of France without the noise, traffic and, of course, astronomical prices. Although it doesn't enjoy such a warm climate as Limousin and Auvergne, Brittany is another region which is well worth considering if you want to buy a French property on a low budget. This may seem surprising given the region's proximity to the UK but parts of Brittany still offer exceptional value despite recent price hikes in other areas within the region. In the Finistère, the Morbihan and the Côtes-d'Armor, it is possible to buy a small, traditional village cottage for between £20,000 and £30,000, though at this price a certain amount of renovation work would probably be required. Cheap properties can be found both inland and by the coast in the Finistère, Brittany's most westerly department but the true bargains in Morbihan and the Côtes-d'Armor are generally found away from the coast. If you head inland, you will find some of France's most competitively priced properties. Slate-roofed Breton longères (usually needing work) can be bought for little more than £50,000. Other traditional properties, many of which are ready to move in to, are available for less than £80,000. Brittany's neighbour, Lower Normandy is also home to some great value properties particularly in the Orne, the region's only entirely inland department and the Manche, its most westerly department bordering Brittany. In these departments you can find houses with 3 or 4 bedrooms (some of which will require renovation work) for between £50,000 and £70,000. Houses with a lot of renovation work needed are sold for in the region of £20,000. Burgundy is another region to explore in your search for a bargain. Many people assume that Burgundy's property prices will be prohibitive due to the region's many attractions. However, despite the fact that the region is easily accessible, has spectacular scenery and is renowned for its gastronomy, a small budget can still go a long way. The region is by no means as inundated with foreign buyers as you might imagine. In the Yonne, the Nièvre and the Saône-et-Loire, it is possible to buy a detached house with 3 bedrooms for as little as £60,000. Alternatively, stone barns for conversion occasionally come on the market for as little as £20,000. Poitou-Charentes is a becoming a popular choice amongst those who are unable to afford the house prices in the Dordogne to the south-east and the Loire valley to the north-west of the region. In Poitou-Charentes' inland departments - namely Deux-Sèvres, Vienne and Charente - many properties are very reasonably priced indeed. You can buy a small cottage or village house requiring some work for less than £20,000 in these departments. If you want something ready to move into then small dwellings are available from approximately £40,000. However, a larger house with outbuildings for renovation will cost you only a little more from £45,000 to £50,000 upwards depending on the amount of work required. The Charente is the department which is home to some of the best bargains with ready to move in four bedroom Charentaise town or county houses coming on the market at £70,000 or £80,000. Property prices in the Centre Val-de-Loire vary enormously. 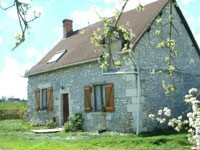 Around Chartres and Tours in the north, prices are consistently above the national average. That said, small slate-roofed houses complete with their own cellar in the villages around Tours can be bought for not much more than £50,000. However, it is in the south and south-east of the region in the departments of Indre, Cher and Loiret that the really cheap properties can be found with small period homes not requiring any renovation coming in at about £25,000. Similarly, whilst the neighbouring Pays-de la Loire is renowned for its imposing chateaux, there are nevertheless, occasional bargains to be found at the other end of the market. In the Maine-et-Loire substantial village and town houses can be found for between £50,000 and £70,000. Another area of France which is well worth keeping an eye on for cheap property includes the most northerly part of the Ardennes department in Champagne-Ardenne. Village houses of unique character can sometimes be bought for very modest prices and represent excellent value for money. Parts of Aquitaine also have some real bargains on offer although most of the low priced properties here require at least some renovation work. The east the Landes department and the south of the Lot-et-Garonne are your best options if you have a restricted budget but have your heart set on this region. Whichever region you choose to begin your property search in, renovation projects always come in cheaper than houses that are ready to move in to. These are well worth considering if a spot of DIY does not send you running and if you are keen to make your mark on your French home. For the even more adventurous, another option is buying a plot of land to build on. 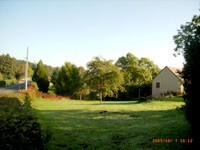 Plots are regularly advertised on our site throughout France. It is possible, for example, to buy a 1000m2 plot for about £7,000 in Aquitaine or a 2,000m2 plot for approximately £3,500 in the Centre Val-de-Lorie. Read our article Buying Land to Build On for more information about building your own property from scratch. A mobile home is another inexpensive option if money is tight. This is also a cheap means of getting know an area whilst looking to buy something more permanent. If you have your heart set on a region that is more expensive than you can afford, all is not lost. The French leaseback scheme could be just the answer. The leaseback scheme has been instrumental in helping many British buyers afford their dream property in France. It was introduced by the French government as a way of providing quality accommodation in popular tourist areas. After buying your property, you rent it out to a holiday company for 9 years during which time you can stay in your property for a set period each year. In effect, this enables owners to rent out their property and generate a rental income without the hassle of upkeep or maintenance. This scheme is not to be confused with time-share, as here you only own the property for a set period every year. Leaseback is a particularly common way of buying ski chalets in the Alps and even operates in such popular resorts as Val d'Isère. Timeshares on the other hand are typically found in the seaside resorts in the south and west of France. What happens after nine years in the "lease back scheme"? Thank you. Thanks for contacting us. It sounds as if you haven't seen our article "Leaseback Property in France" (http://www.frenchpropertylinks.com/essential/leaseback.html). This should give you the information you are after. Could you please tell me if you need to pay cash and also what are the additional cost of purchasing ie: lawyers fees etc. I am a Canadian purchaser. Thank you for your time.